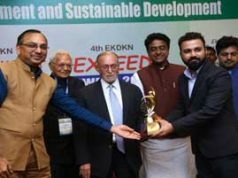 Bhubaneswar: My Eco Energy, is a pioneer company aiming to make an EN590 compliant diesel out of renewable raw material accessible in India by launching its product Indizel.It is currently the only fuel in India that meets Euro 6 requirements, making it the greenest fuel in India. Diesel is widely used in today’s day and age, however the fuel comes with several ill effects on health and environment causing severe pollution. 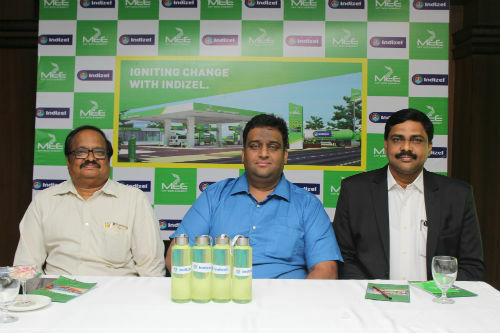 MEE provides an innovative solution to fuel in the form of Indizel. Indizel is a non-petroleum based fuel that will not only result in low emission but will also go a long way in ensuring sustainable energy. 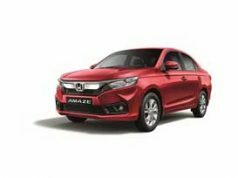 The product has been an innovative engine to conform and surpass stringent automotive fuel quality standards and is fully compatible with existing fuel infrastructure, distribution systems and engines. Indizel burns cleaner than petroleum- based fuels, which results in lower emissions of carbon-monoxide, particulate matter and unburned hydrocarbons. Generally fuels contain sulphur at a quantity of 50 ppm (parts per million) however Indizel contains sulphur at a quantity of less than 10 ppm. The reduction in the emission of sulphur leads to varied environmental benefits as the vehicles emit less polluted smoke. This overall leads to a healthier environment, thus resulting in reduction of health problems. My Eco Energy (MEE)also aims at making a chain of fuel stations converting already functional traders in other segments like grocery, supermarkets, hotels, motels, malls etc., to invest and become an Indizel Retailer. The fuel station models are multi-functional and can be set up in their existing business premises or a stand-alone premises. Training, equipment and guidance from experts to start an Indizel fuel station will also be provided by the company in order to maximise storage efficiency and safety. To enhance consumer convenience, Indizel will be widely available in three formats through MEE’s flexible models namely Urban, Sub- Urban and Highway. The Urban fuel stations are designed specially with well-designed simple structures and notable advantages like quick fuelling and check-out. Sub-Urban model is best suited for spacious plots. The Highway outlets, have all desired amenities of a highway traveller such as ample space for big vehicles, convenience store, rest areas, and mechanics. This venture is beneficial for the investor as it has one time investment with ripe returns. Apart from benefiting the retailer, Indizel is also profitable to the customer it is always priced lower than the market diesel rate.